Though I am a fan of Horizon Hobby products and find the full size Radian somewhat tempting, there is something attractive about a V tail that I like. Interestingly I also have the Durably Zephyr and the Durafly Excalibur which are nice planes but I wanted something that could slow down more without stalling so soon. + Compared to my other gliders its thrust, weight, and lift are at the top. + The motor is sufficient on 3S. I think it'll be better on 4S but I haven't got there yet. + I suspect it's a Radian killer. - Transporting 2.2 meters of aircraft means I can't just stow and go. It does ease this some with the removable pins in the wings. - I'm having an issue with the motor dropping power. See below. - The aluminum wing spar bends too easily. +Crow braking, I've never done it but I think I'm close. + Lights, I'm not sure if I'd prefer fancy colors like the new Night Radian or just the standard anti collision set like on my UMX Timber. Either way, lighting is a nice touch. + Getting my AS3X stabilization on a switch. + FPV (I still haven't piloted a fixed wing via FPV). Regarding the power drop/ motor whine, I haven't troubleshot it yet but the motor whines and doesn't go full power when I give it full power on the stick. Trying a 4S aggravates the problem. I'm suspecting the ESC and will try a different one to see what happens. I'd really be interested in hearing thoughts/suggestoins from others whether it's about this plane, another like it, or even techniques or max flight times. Nice glider There is something very relaxing about floating around hunting thermals. Other than the V- Tail it looks almost exactly like my Calypso, just a little larger. I never did bother installing flap servos for the funky flight modes, mostly cause I'm too cheap to buy a bigger receiver My longest flight to date is 45 minutes on a 1300 3S, I'm not sure if I'd want to go longer, though a heavier battery would probably get me some better wind penetration. What kind of flight times are you getting? Thanks for the good info Sean. Now I have something to shoot for. I don’t know what my record is but I do know I’m getting over 10 minutes of flight time for only five minutes of battery usage. I’ve been using 3S 1000 mAH to get those. I have a couple of 4S 1000 Graphenes that I want to try out which are a bit heavier but I’m looking forward to the extra punch of the 4S. The receiver I’m using is a Spektrum 6 channel with AS3X which means I cannot put on crow braking and have lights on the switch. If I really want both I will probably rig it up to turn the lights on manually. 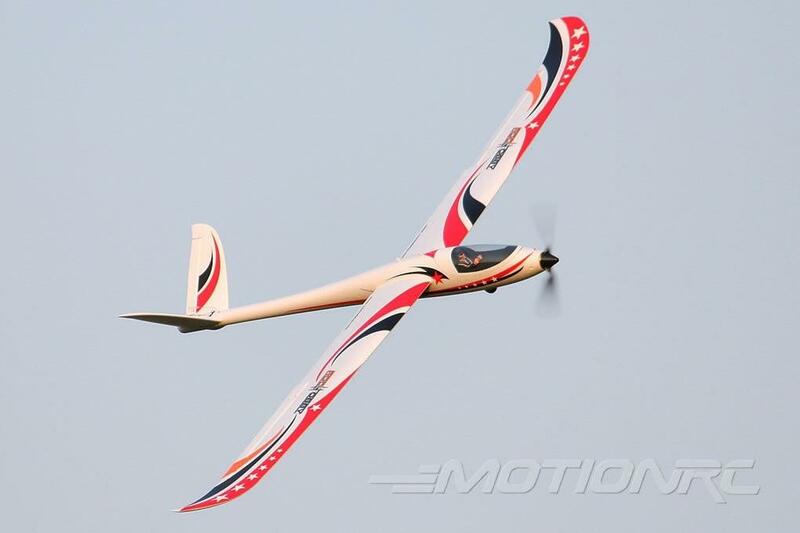 Is your calypso running both ailerons off of one servo? If it’s running it off of two you could make your ailerons into flaperons, That is if you are interested in making a go slower and if it can handle it without stalling. I have an Excalibur that I have rigged up with flaperons but I’m having trouble managing the speed on that one. It’s either going way faster than I’m comfortable with for landing or it’s stalling. I don't think I've ever experienced desync but maybe now I am. What are the signs/symptoms of a desync? Would my motor whine problem I described in the OP be desync? If so what might fix it? I know I the ESC has options I could change. I want to work on this today and hopefully resolve it so I can get this beautiful bird back where she belongs. Desync happens when the ESC loses track of the motors position and causes it to jitter or stall completely. The first thing I would look at is the wiring and connectors, but playing with the ESC settings could help. Motor timing and demag compensation are the settings you're after. Thanks. It only happens when I punch the throttle on 3S or if I use 4S even with low throttle. It makes a whiney sound and doesn't hardly provide any power, not enough to climb for sure. I have other ESC's and motors to confirm I'm on the right track but I do suspect it's a setting in the ESC. I'll post back with what I find.